Plant of the Year for 2014. Why? We’ve been investing in clean energy for years. But for this story, we have to go back to 2008. That year we invested $10 million in startup company BrightSource. We believed in their solar power technology. As they continued to develop, we subsequently invested another $168 million into their first utility-scale solar project, Ivanpah. We often talk about projects that make leaps of 10x, but Ivanpah was almost 20x the size of the largest solar power tower plants at the time. 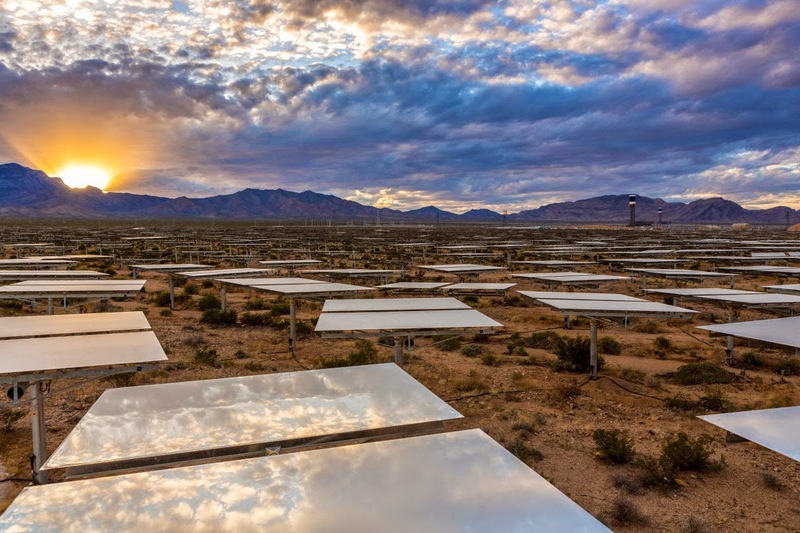 That made Ivanpah perfect for the kind of projects we look for - large in scale, producing 377MW of clean solar power for California, and innovative in design, demonstrating the potential of advanced solar thermal power. We’ve made it a goal to invest in innovative renewable energy projects that could dramatically impact the energy landscape and bring more clean power to not only our company, but the world. For Ivanpah, we put our money where our mouth is, delivering on our commitment to renewables in a big way. We’re proud to have supported our partners, NRG, Brightsource and Bechtel in the construction of an innovative power plant that will provide decades of clean, renewable energy to California. We are thrilled to share the news that Ivanpah has been selected as Power Magazine’s Plant of the Year for 2014.